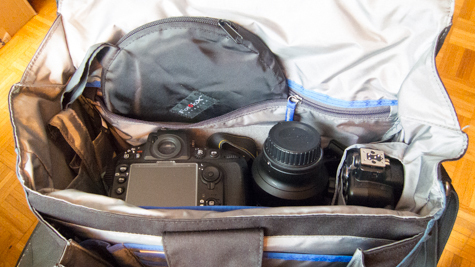 Gear listing, laid out, thought about, comfort factored, camera bags. The event I was packing for was SXSW with a mix of panel shooting, music, and event coverage. 2 Year ago I ended up shooting a BBQ /Book Signing for Guy Kawasaki! Day/night, interior, exterior; you can pretty well run the gamut of photo situations over a 10 day run. I can always add a tablet to the front pouch to be grabbed before placing in overhead. In the back pouch (see why we love this bag?) some phone charging cables, phone/tablet charging battery block, cinnamon gum, business cards, earbuds. S’well, non-sweating, thermos (hot or cold). 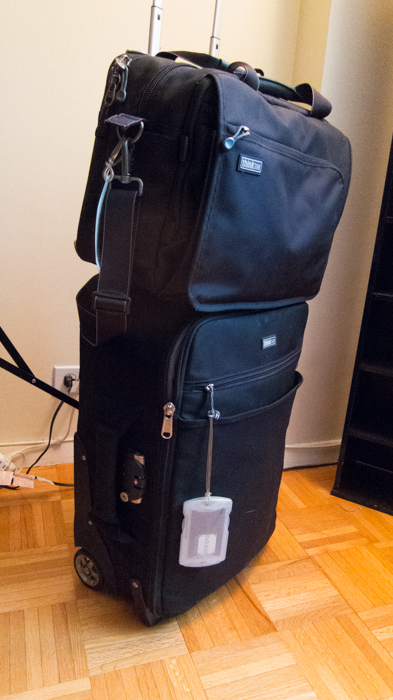 And the 2 bags stack together, with a neat flap of material that the Airport International slips into. The ThinkTank City Walker 20. This pup folds pretty darn flat, and is lightweight saving weight in the checked luggage, and weight on my back. 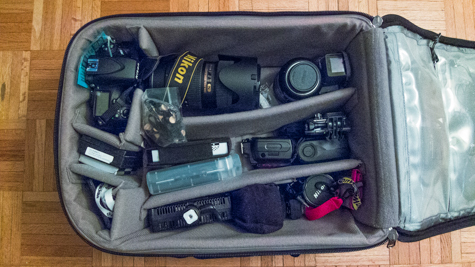 Above , it’s packed with Nikon D800, 70-200, 24-70, 20mm 2.8, Nikon SB900 speedlight, Fotodiox softbox, card wallets, extra batteries, power bars, assignment sheets, small gorillapod, and the lovely S’well thermos that doesn’t sweat. Key point there. And always in my pants pocket? Canon S100. 2.0 lens, shoots RAW, ISO to 6400. Sweet. 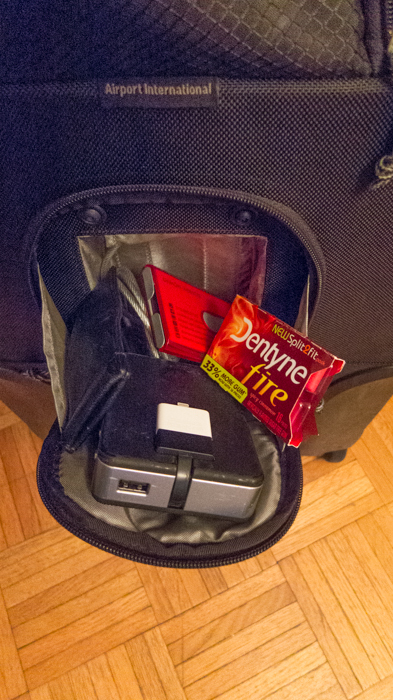 Oh yeah: as you are packing your checked bag, you may be tempted to load in a lot of the heavy pieces. Take a Balanzza Digital Luggage Scale – for $25. 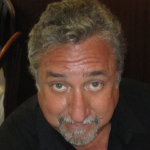 I’ve used mine for years, and it save embarrassment, and money at the gate. When it says 49.5 lbs, it has been just that. There you have it. A working array of bags and gear for changeable events. Whenever I go on one of these trips, extra gear for review comes along, so when you see a write up here, it’s because the gear has been put to use. One question you may have is “why carry the sound gear?”. If I know there will be specific interviews going on, the Canon XF100 comes along, plus a shotgun mic, ThinkTank Modular belt or the Media Bag, a Manfrotto video head, and perhaps a different monopod. 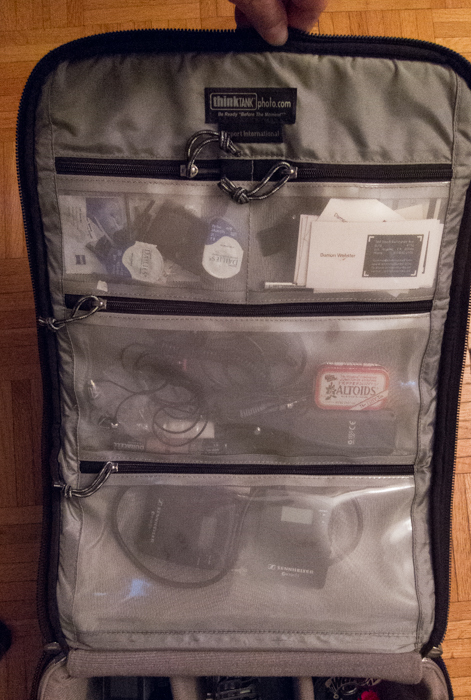 With gear in the bag, I can cobble together what is needed to get the job done in a pinch. NB: The CityWalker 20 has become my bag of choice in NYC walkabouts. 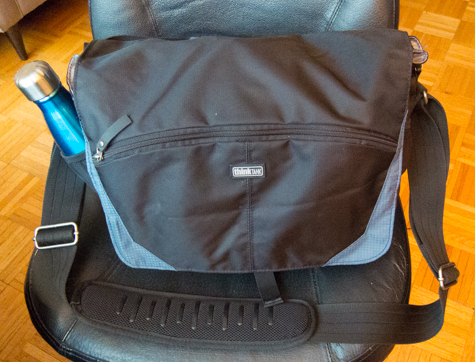 Fits the 13″ MacBook Pro, Body and cropduster lens, or I can go small, like a Sony NEX with a coupla of lenses. It’s now always with me, even if I’m not on a shoot. In NYC, backpacks aren’t quite the thing. As someone said to me, “School’s Out”.